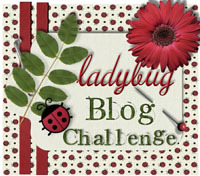 Ladybug Crafts: Challenge reminder and stamp winner! Hi all - this is just a reminder that our brand new challenge starts tomorrow (that is if I can get Blogger to behave!!) .